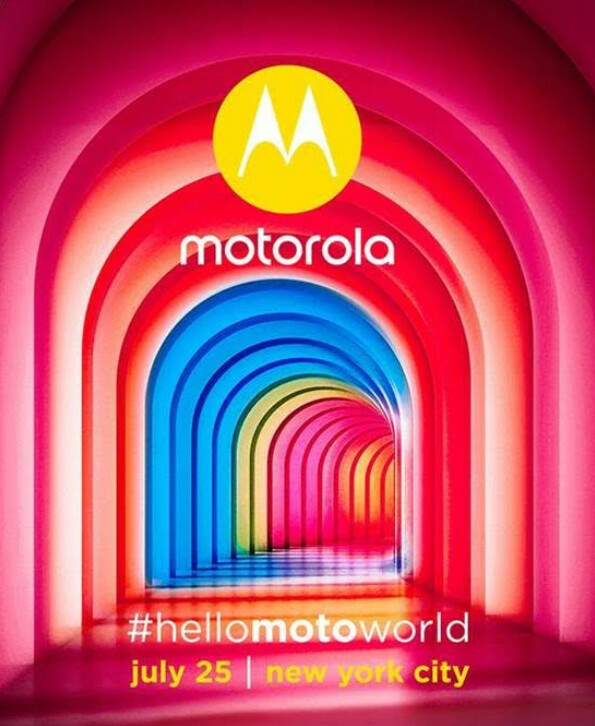 Looks like Motorola will be unveiling at least one new phone in New York City around the end of the current month (July 25th to be exact). Invites sent out by the company say, "You won't want to miss this," and colored tunnels flash red, yellow, orange, pink and blue lights. We could see the Moto Z2 Force introduced (we recently got a peek at the AT&T version of the phone) along with the Moto X4. The latter might feature a dual camera-set up and an IP68 certification rating. That is a bit unusual for Motorola as the company usually relies on nano-coating fron P2i to protects a handset from spills and light rain. Motorola might also introduce some new Moto Mod modular accessories. It recently unveiled a previously unannounced Moto Mod including a 360 degree panoramic camera Moto Mod that takes 360 degree photos and videos. Motorola had promised that any new Mods will be backward compatible, and will work with previously introduced Moto Z phones. The only second generation Moto Z model released thus far is the Moto Z2 Play. Our review of the phone is hot off the press! Read it by clicking on this link. The continuing adventures of announced/cancelled Motorola events!